Our roof mounting system (Retrofit) can be installed in any roof top like conventional concrete or clay tiles, metal decks and shingles roof without causing any leakage to your house. 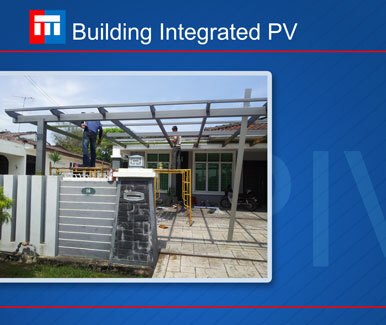 Prior the installation, our expertise will conduct structure and shading inspection and provide the perfect solution for you in minimal disturbance. 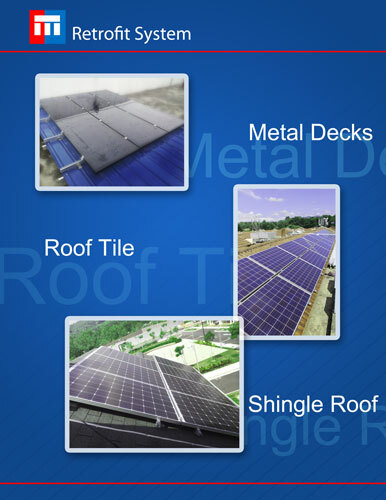 Building Integrated PV are photovoltaic materials that are used to replace conventional building materials in parts of the building envelope such as roof, tiles, skylights and facades. Our RS1 BIPV system is engineered with double leak protection rail design to provide highest confidence to customers their house is free from leakage. This system is also normal used in residential walkway and car porch. for you in minimal disturbance.